No. of Floors – 26 Floors/Tower. Total Units – 372 Approx with 60% open Area. Carpet Area – 713 Square feet to 965 Square feet. Rosa Manhattan is the new launch project in Thane West. Each luxury tower consists of 26 storeyed hi-rise apartments. It offers various configurations which include 2 BHK and 3 BHK flats. The 2 BHK flats comprises of a living room, kitchen, 2 bedrooms and 2 bathrooms in a carpet area of 713 sqft and the price of 2 Bhk flats starts from 1.06 cr. The 3 BHk flats comprises of a living room, kitchen, 3 bedrooms and 3 bathrooms in a carpet area of 965 sqft. The price of the 3 Bhk flats starts from 1.43 cr. 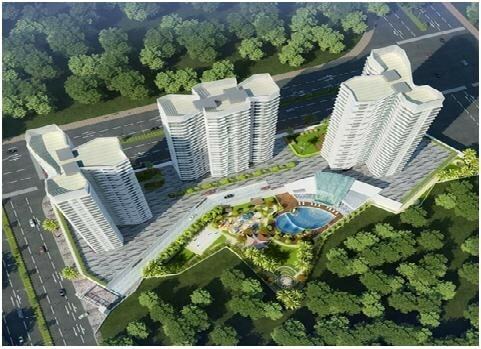 Rosa Manhattan Project is near Express Highway, near Thane Railway Station. A neighbourhood of Malls, School and Hospitals with an easy proximity to Thane station and major transit routes. Rosa New Project in Thane offers quite a few secure residential options to all buyers. Because of the accessibility to access to scores of renowned corporate development in Thane the connectivity is directly routed with area. Vikhroli, SEEPZ & this upcoming destination at Thane to take all the strategic advantages. Manhattan by Rosa Group is at Hiranandani Estate, Ghodbunder Road, Thane West. Rosa Manhattan Thane consists of exclusive amenities such as Landscaped Garden, Indoor Games, Earthquake Resistant, CCTV Cameras, multipurpose-hall, Community Hall, Swimming Pool, Gymnasium, Play Area, Rain Water Harvesting, Lifts, Waste Disposal, Club House, Library, Tennis Court,Drainage and Sewage Treatment, Squash Court, waiting-area, Amphitheater and Open Lawns, Party Area, Senior Citizen Park, Multi-purpose Hall, Business Center, Badminton Court, Jogging Track, power-backup, 24Hr Backup Electricity, Basket Ball Court, Yoga, Aerobics and Meditation Room & Fire Alarm. Schools – Podar Jumbo Kid, Shivaji School, Merry Angels International Boarding School, Thane Mahanagar Palika - Tmc School, Aryan Private Tuition Classes. Shopping Malls – D-Mart, More Megastore, Big Bazar, Godrej Nature’s Basket. Restaurants – Yaadav Chana Bhandar, Taloja Biryani, McDonalds, Motis Bar & Restaurant. Hospitals – Dr Bansals Arogya Hospital, Omkar Pathology, Dr. Joglekar's Nursing Home. Bank/ATMs – SBI Bank ATM, Kotak Mahindra Bank ATM, PUNJAB NATIONAL Bank ATM, Axis Bank ATM, Bank of Baroda Atm. Parks/Garden – Canosa Garden, Hiranandani Joggers Park, Kabra Garden, Hakone Games Park. Pharmacies – Devanshi Chemist, Siddheshwar Chemist, Metro Chemist, Satyam Medical & General Store.